Here and Now is an Arts District cocktail bar that pays homage to interesting tales from Los Angeles’s past. It takes over the space previously occupied by train-and-travel-themed bar Westbound, but it’s not an entirely new concept. Rather, it’s a partnership among Westbound’s Sarah Meade and Va’La Hospitality’s Aaron Melendrez, Othón Nolasco, and Damian Diaz. Much of the interior will be familiar to Westbound regulars, but they may notice the lights are a little dimmer and the music’s a touch louder. Nolasco said they’ve also put a lot of thought into the service, even in the smaller details, to make people feel more at home. The food and beverage offerings are also all new. 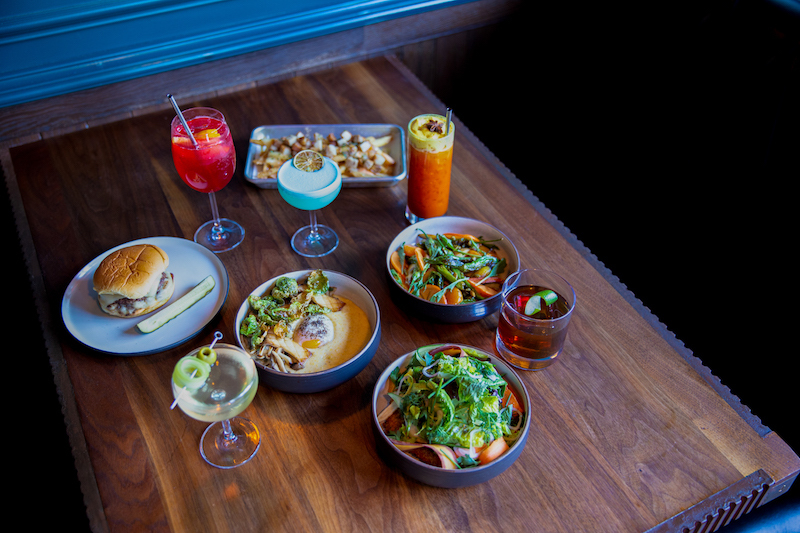 Chef Geo Delgado works with the four partner’s to create their varied interpretations of “elevated bar food.” The result is plenty of vegetable plates, in addition to a few decadent bar staples like pork belly fries and a burger. According to Nolasco, the latter is inspired by their love for Au Cheval, a diner-bar combo in Chicago well-known for its burgers. 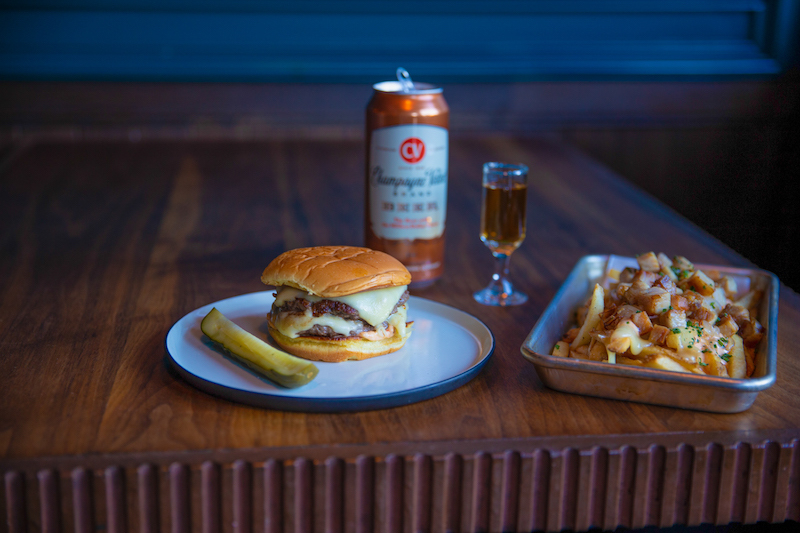 “[Au Cheval’s] single burger is actually two patties and a double is three patties, so it was very important for us to have a double patty,” Nolasco said. The two brisket-short-rib-and-chuck patties are topped with white American cheese, shallots, and Here and Now’s homemade Boyle Heights sauce, which is made with dill pickles and charred Fresno and Caribbean chiles. Nolasco, who was born and raised in Boyle Heights, said the sauce is inspired by a style of thousand island dressing he enjoyed at the neighborhood’s Jewish delis. For those who don’t eat meat, they do have an Impossible Burger on the menu, as well as several seasonal vegetable dishes. The Beluga Lentil Dip with pickled onions and queso fresco offers a lighter take on bean dip, while the Mushroom & Polenta topped with crispy brussel sprout leaves and a 63-degree egg works as a flavorful comfort dish. The current cocktail menu is titled “Los Angeles in Three Centuries as Told by Four Angelenos” and several drinks reference the city’s history. This isn’t new for the space; Westbound took its train theme from the fact that it stood on the former site of the Le Grande Station. But a little history lesson can be even more fun with a cocktail. The boozy mezcal-based Zanjero takes its name from the official title given to the person who oversaw Los Angeles’s early water system, the zanja. The zanja system consisted of several ditches that connected the L.A. River, then called the Río de Porciúncula, to 1800s Los Angeles. The zanjero was seen as such an important position that it paid a few hundred dollars more than even the mayor and city marshal’s wages. This particular cocktail menu will shift when Here and Now transforms into the festive Blizten on November 28, with holiday cocktails and food specials, carolers, and a snow machine. If you’d like a free cup of punch, bring along a quart-size Ziploc bag of toiletries to be donated to nonprofit People Assisting the Homeless (PATH). Here and Now is located at 300 S. Santa Ave., Suite N in the Arts District. 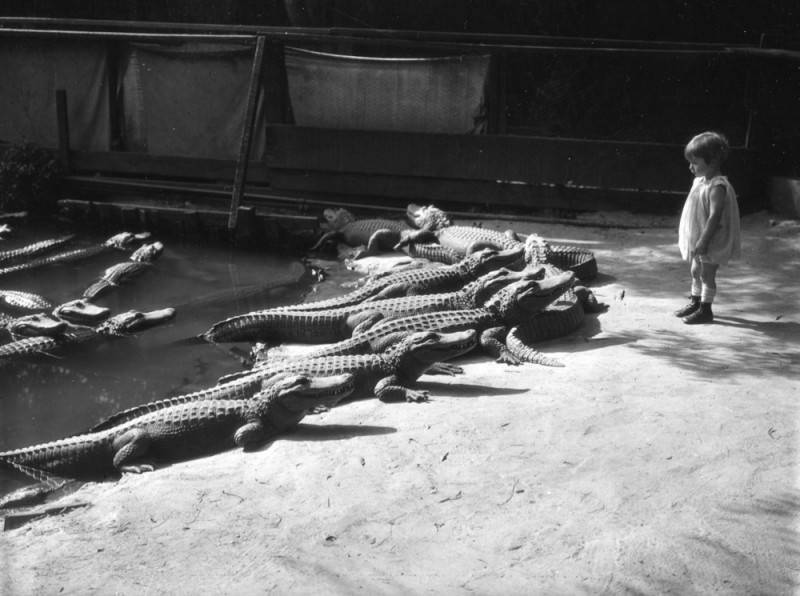 Open Tuesday through Saturday, 4 p.m. to 2 a.m., and Sundays, 2 p.m. to midnight. Closed Mondays.